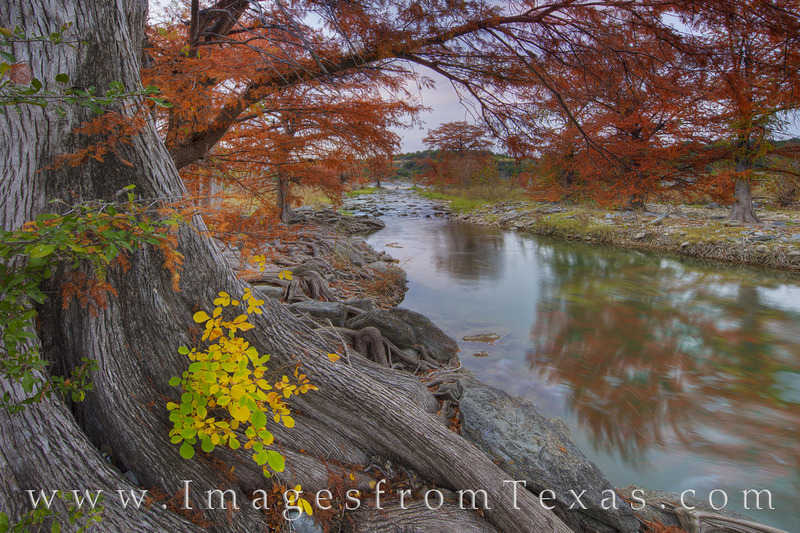 Autumn colors in November fill the banks of the Pedernales River on a cool morning. The reds and oranges of Cypress come alive during this time of year, bringing scenes of fall to the Texas HIll Country. Photo © copyright by Rob Greebon.